The big release this week is the new puzzler from Intelligent Systems, but we should also highlight this week sees only the second Game Boy Color game to hit the 3DS Virtual Console after The Legend of Zelda: Link's Awakening DX in June. Let's see what's on the platter this week. Pullblox (Nintendo, €6/£5.40) — This push-and-pull puzzler comes from Fire Emblem and Advance Wars team Intelligent Systems, with the ability to create and share your own puzzles with other users. Our upcoming review will let you know if it's got what it takes. Blaster Master: Enemy Below (Game Boy Color, Sunsoft, €5/£4.50) — Just a few weeks after Japan saw this release, we now have it in Europe. It may not be the most remarkable game in the Game Boy Color's library, but as it doubles the GBC library on 3DS we're not complaining. Full review on the way soon. Bloons TD 3 (Digital Goldfish, 500pts) — Simply called Bloons TD in North America, this game of intelligent balloons isn't bad but isn't likely to compete for your time or money this week. Check out our Bloons TD review for the full lowdown. Christmas Wonderland (Microvalue, 800pts) — A hidden object game with a distinctly seasonal flavour, we'll have our full appraisal of Christmas Wonderland in the next week. Crazy Hamster (Gamelion Studios, 200pts) — A reflex-testing action game starring a hamster — of course — you could do considerably worse for your 200 Points. Check out our Crazy Hamster review to find out why. Paper Wars: Cannon Fodder (iFun4All, 500pts) — The self-proclaimed "worst game ever" comes to a service arguably crowded with more competitors than any other. Can it topple Incoming!, Play With Birds, Space Trek, WarMen Tactics and Girlfriends Forever: Magic Skate to claim its title? We'll find out in our upcoming review. Puss in Boots 3D Trailer — The salacious feline from Shrek returns, this time in 3D. Pushmo? Me want, come to America!!! Nice to see the 3DSWare starting to take off finally. It was quiet for a long time but with Freakyforms, Zen Pinball and this all within a reasonably short time, I'm pretty happy. Dare I believe eShop is finally picking up steam? Ooh Puss in Boots trailer. I just don't have time for all of these games! I think I'm going to love Pullblox more than I have time to spare. What? Paper Wars: The self-proclaimed "worst game ever"? Lol. Pullblox looks like a must have ;o , but does anybody know of the Blaster Master game is any good ? Pushmo needs to get released in the US now!!!!! Will be getting PullBox probably. Blaster Master isnt great, but as a GBC game I might pick it up since its not that bad. bloons TD 4 NEEDS TO BE NEXT. HAVING WIZARD MONKEYS IS AWSOME! @Zach: Ha ha ha. Thanks for posting this link. The website is by far the best thing WiiWare currently has to offer. Busy week! I'm glad that they now announce some of what's coming to N-Video. Shame they didn't warn me that a One Direction video was coming last week. Chilling. I'll probably get Blaster master: enemy below at some point and I would get Pullblox as the gameplay seems pretty good but I really don't like the ugly character design so I won't be getting it. Heh, looks like Pullbox might come here this Thursday, I hope so. I'm hoping we get these here in the states this week. I'm so jealous! 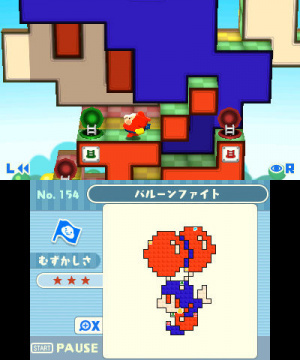 I want Pushmo/Pullblox now!!!! Bring Pushmo and Zen Pinball to NA NOW! So Europe gets downloads and Project Rainfall first? Comeon, Reggie! I am interested in Pullblox, Blaster Master: Enemy Below, Christmas Wonderland and Paper Wars: Cannon Fodder. But need reviews though. Ooh, they skipped to the good GBC Blaster Master! Well, seeing you guys' release schedule across the pond, I'm losing hope for seeing any Wii VC games before 2012. What the BLEEP, NoA and NoE??? @Mickeymac I take it there was another Blaster master game on GBC that wasn't good then. What was it? 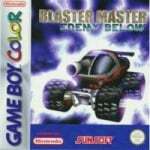 @mariofanatic128 - BLASTER MASTER BOY was the only other Game Boy related game I think. Although, I think that was related to Bomberman. Haven't tried Link 'n' Launch, but Dragon Quest Wars was awesome and I enjoyed the Advance Wars series. And Fire Emblem is my number one favorite franchise, so I can't wait to try this game. I'm confident that Intelligent Systems has made another awesome game. you probably wont believe this but I type in 3ds on Google abd on the bottom where it says "News" it that you can update ur system!! try it and got it!! I really want Pullbox but I am broke. And I couldn't wait until Christmas for Mario Kart or Super Mario 3D Land. I will see if I can be patient and not buy Pullbox & Zen Pinball until Christmas, then I will have something new to play.